Sarah K. Staup is Dykema's Director of Professional Personnel. In addition to administering the hiring of lawyers and the summer associate program, she works with the Firm's Professional Personnel Committee, which manages the associate evaluation and partnership consideration processes. Ms. Staup is also Director of the Firm's Paralegal Program. Ms. Staup has been a member of NALP (The Association for Legal Career Professionals) since 1984, was vice-president from 1996-1998 and served on the 1995-1996 Board of Directors. Her other prior NALP involvement includes service on the Nominating Committee and as a Regional Coordinator, as well as membership on numerous committees. She has given presentations at local law schools on how to be a successful summer and new associate, and how to apply to firms that do not recruit on campus. She has presented to Detroit's first-year diversity clerkship program, which is sponsored by the Wolverine Bar Association. 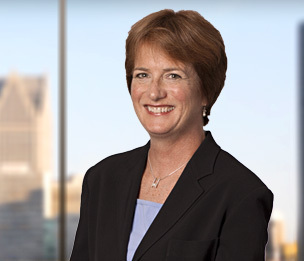 Ms. Staup has more than 30 years of experience in law firm timekeeper hiring and management.